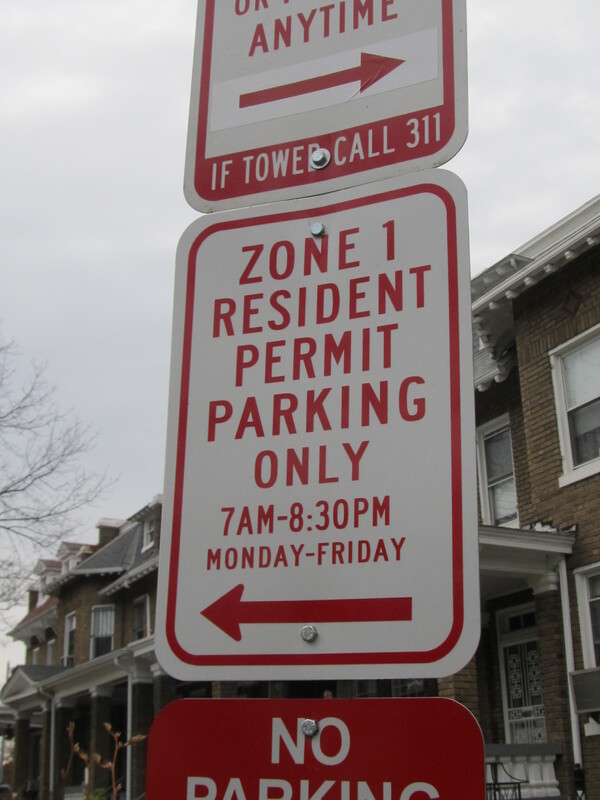 Government | Park View, D.C. 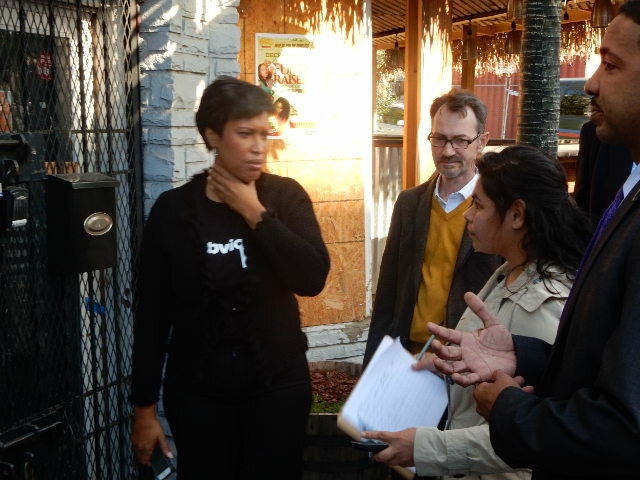 Yesterday, Mayor Bowser visited the Park View neighborhood with two goals. The first was to announce that Georgia Avenue Thrive and their partner District Bridges have been selected to lead the Lower Georgia Avenue Main Street program. DC Main Streets is a comprehensive program that promotes the revitalization of traditional business districts in the District of Columbia. 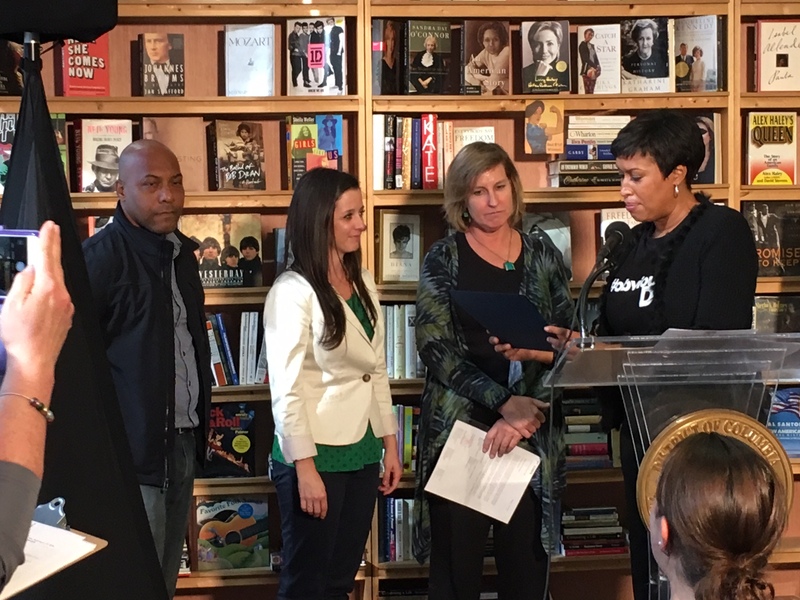 The announcement was held at Walls of Books. 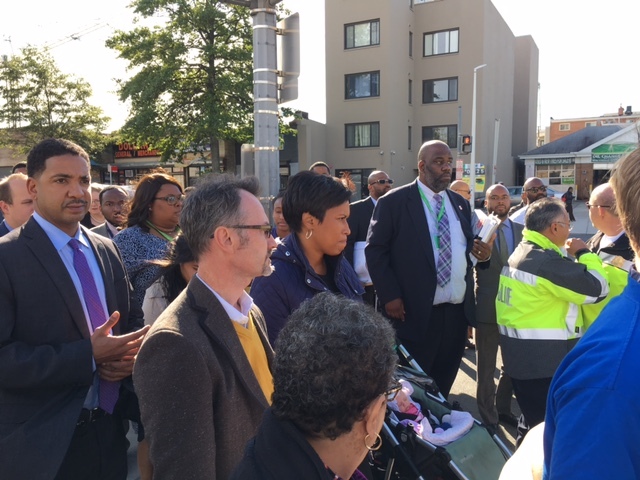 Following the Main Street announcement, Mayor Bowser toured the neighborhood with community leaders and agency representatives. 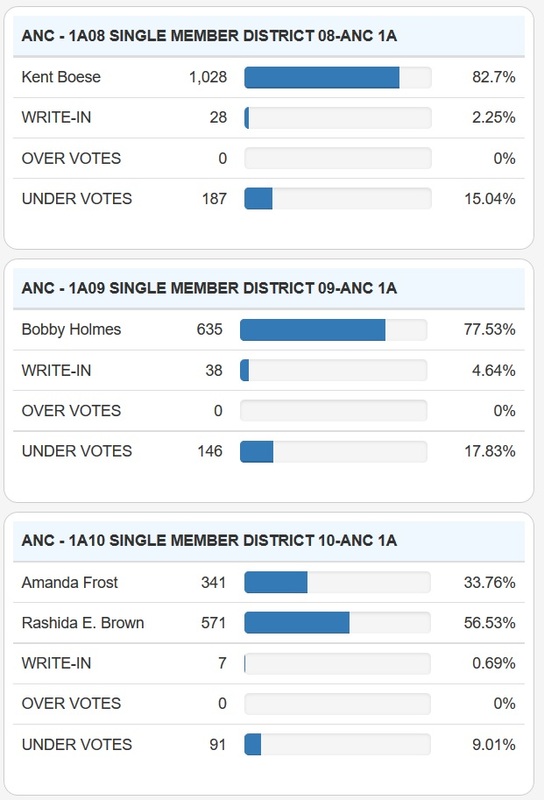 The route went north of Walls of Books along Georgia Avenue to Princeton Place, where it headed east to the Park View Recreation Center, wound past the school and then east on Newton Place ending at the Ward 1 Senior Wellness Center. 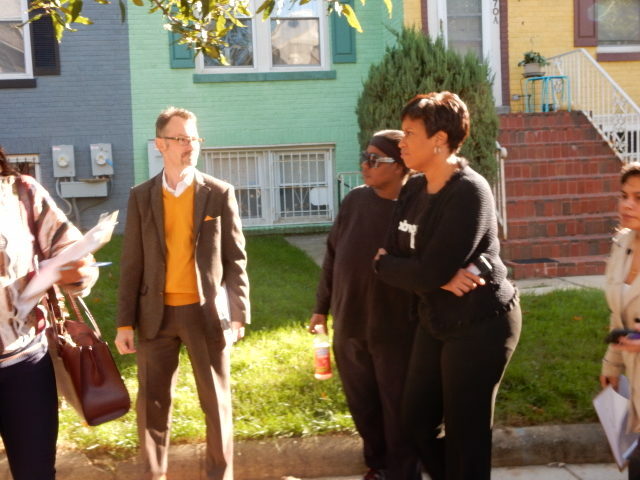 The Mayor was especially interested in talking to small businesses owners along Georgia Avenue, checking out vacant properties, getting details on the damaged playground at the Bruce Monroe at Park View school, and everything in between. 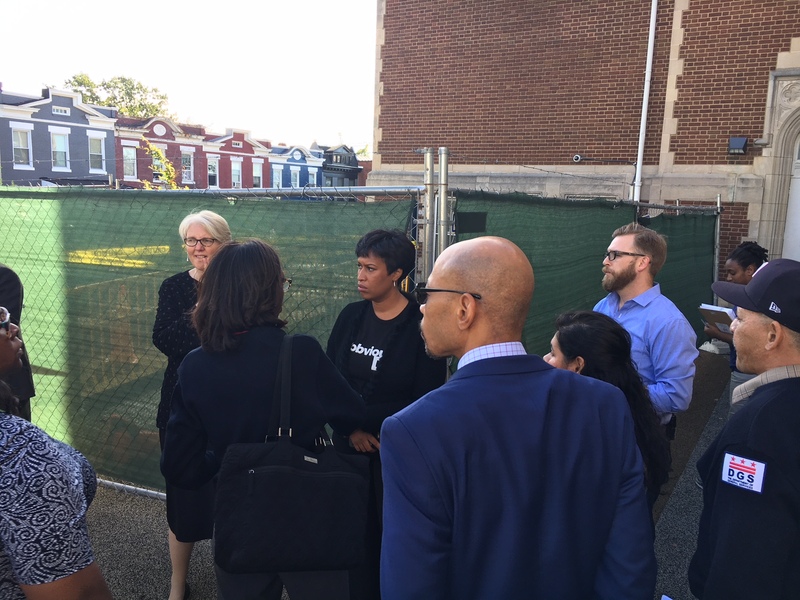 Following the neighborhood walk, Mayor Bowser held office hours at the Senior Wellness Center. Below are a few photos from the community walk. 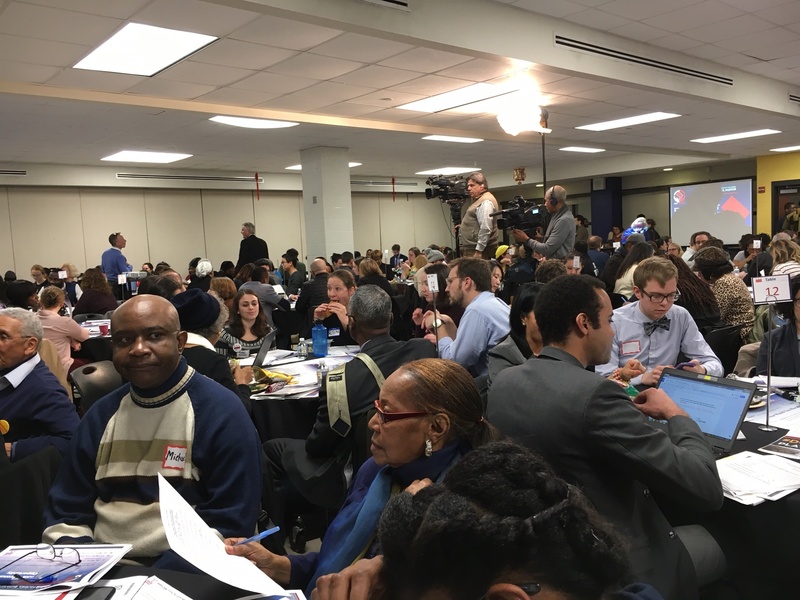 Third DC Budget Engagement Forum to be in Columbia Heights, February 27th! 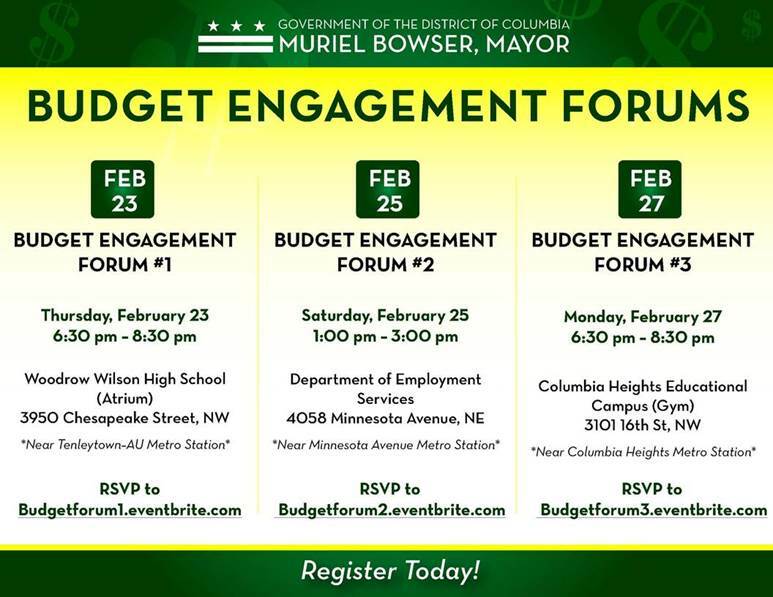 The third and final District Budget Engagement Forum is Monday, February 27th, at the Columbia heights Educational Campus [RSVP here]. The forum is scheduled to fun from 6:30-8:30 pm. 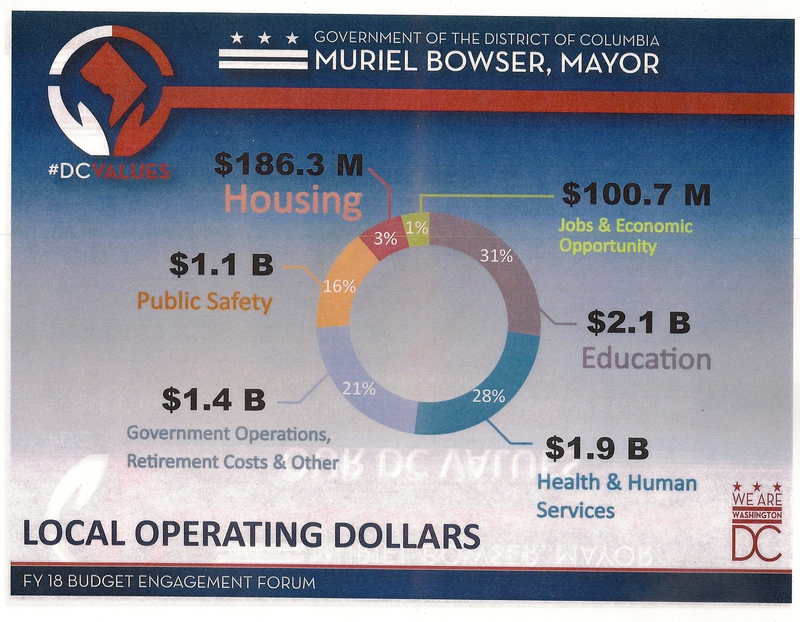 Mayor Bowser’s budget engagement forums are where residents can share some of their ideas, suggestions, and budget priorities for 2018! 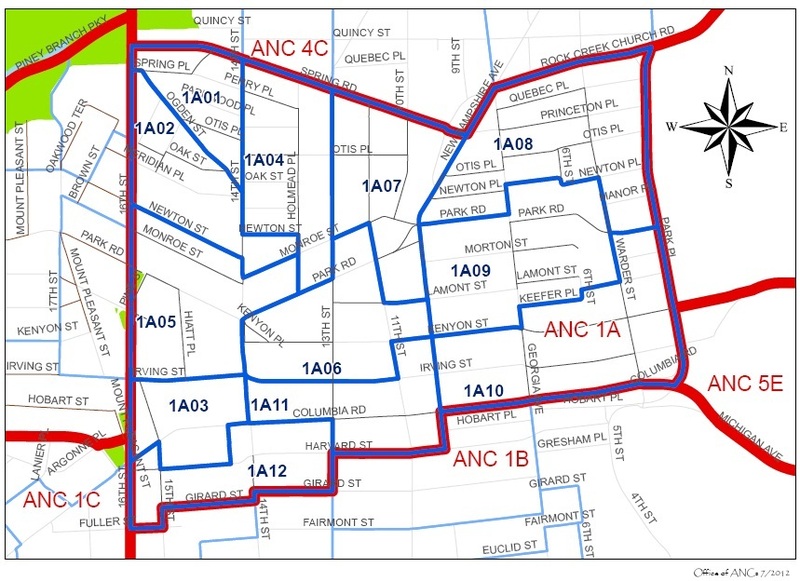 As the forum on Monday is the one most convenient for Ward 1 residents, it is the one I’ve signed up to attend.